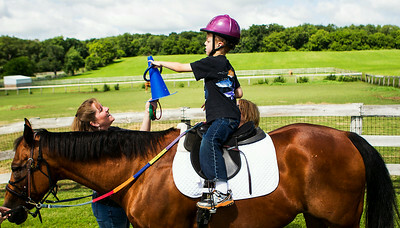 Kyle Grillot - kgrillot@shawmedia.com Mainstay Therapeutic Farm volunteer Sonja Lilljeberg of Chicago takes a horse for a ride in between therapy sessions Tuesday in Richmond. 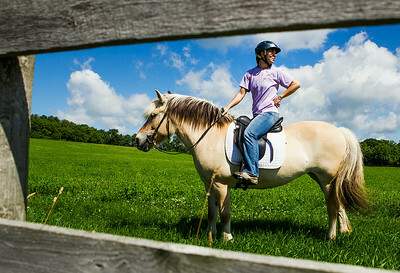 The farm was the latest to donate a 40-acre easement to The Land Conservancy, which now has more than 21,000 acres. 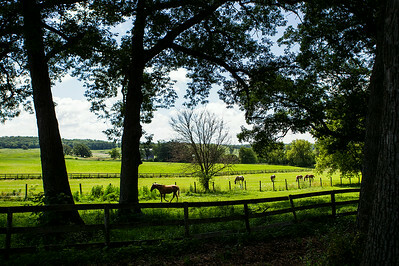 Kyle Grillot - kgrillot@shawmedia.com Horses graze through wooded areas at Mainstay Therapeutic Farm Tuesday in Richmond. The farm was the latest to donate a 40-acre easement to The Land Conservancy, which now has more than 21,000 acres. 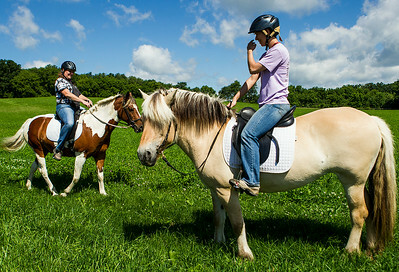 Kyle Grillot - kgrillot@shawmedia.com Mainstay Therapeutic Farm equine manager Roxie Elliot-Crawdall of Genoa City, Wis., (left) and volunteer Sonja Lilljeberg of Chicago takes horses for rides in between therapy sessions Tuesday in Richmond. The farm was the latest to donate a 40-acre easement to The Land Conservancy, which now has more than 21,000 acres. 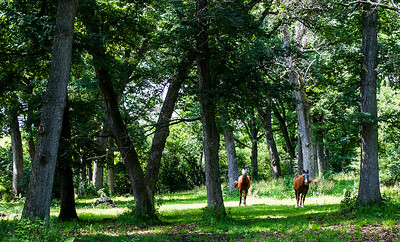 Horses graze through wooded areas at Mainstay Therapeutic Farm Tuesday in Richmond. The farm was the latest to donate a 40-acre easement to The Land Conservancy, which now has more than 21,000 acres.